A Tucson company with all of its interests exclusively in the Tucson area, Cottonwood Properties has developed residential communities, resorts, retail centers, office complexes and apartment communities in excess of $800 million. Primary among them is the La Paloma resort community in the central foothills of Tucson; 800 acres of residential and commercial development surrounding the Westin La Paloma resort hotel. The President and Owner of Cottonwood Properties, David Mehl, first owned the land that is now Dove Mountain in 1985. Nearly two decades of planning and commitment have gone into making Dove Mountain one of the Southwest’s premiere golf resort communities. Cottonwood Properties developed The Ritz-Carlton Resort and continues to actively develop the remaining land in Dove Mountain. David graduated from the University of Arizona in 1972, and has made Tucson his home since founding Cottonwood Properties in 1975 with his late brother George. 13900 N. Dove Mountain Blvd. Have a sales consultant contact me. Required if you would like a salesperson to contact you. 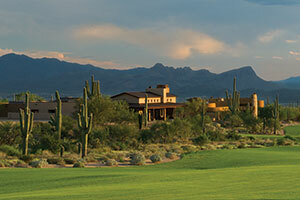 Dove Mountain is a luxury homes community in Southern Arizona offering resort-style living. Adjacent to the 5-star Ritz-Carlton Resort & Spa Tucson, the community features championship golf courses, a top-rated spa, world-class dining and more than 50 miles of hiking trails.